By CNN'S JANET DIGIACOMO CONTRIBUTED TO THIS REPORT. 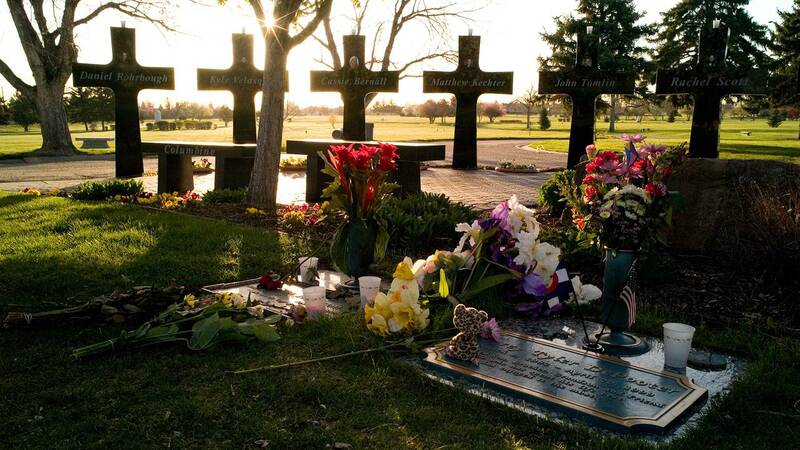 A memorial for the 13 victims stands in Littleton, Colorado, around the graves of three Columbine High School shooting victims. (CNN) - Two high school students in Kentucky took Halloween to a whole new level. The girls probably didn't get the reaction they wanted. After their photo went viral on Halloween, the girls were suspended for three days, according to CNN affiliate WLEX-TV. The photo showed the girls on the floor in the school's library, WLEX reported, which mimicked the eerie photo of the two Columbine shooters after they killed themselves in the Columbine library. "Our personnel are continuing to investigate the facts and circumstances surrounding this matter," the statement read. "The suspension for the two students has been extended as we continue the investigation."